Pets are welcome, as long as they are well-trained. 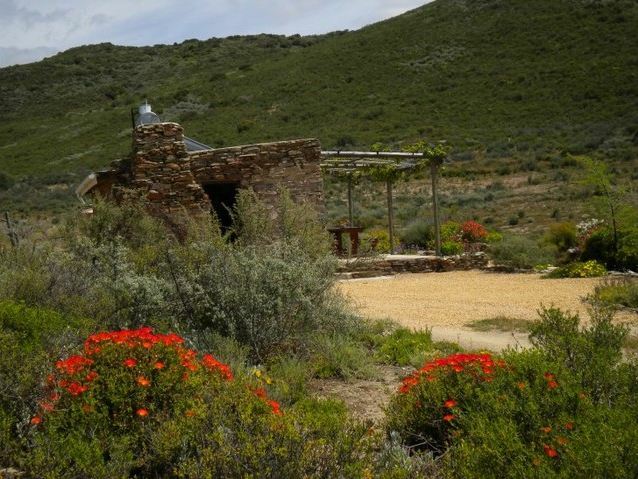 Skaapwagtersrus is situated on the popular R62 on Al Bustan farm, four and a half kilometers from the town of Barrydale heading towards Montagu, in the Little Karoo. 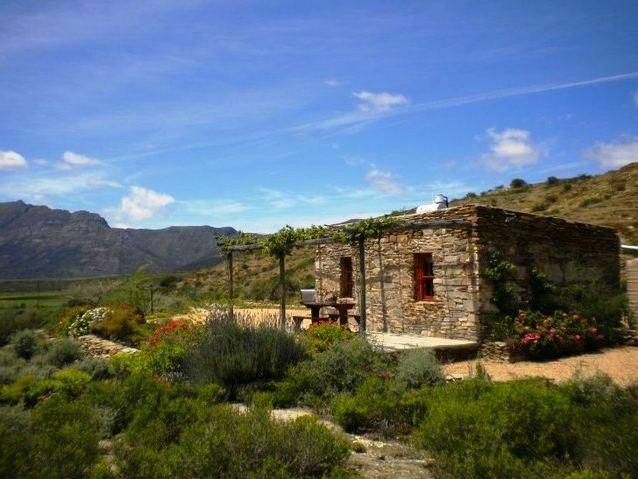 Perched on a hill, it is easily accessible by car and overlooks our olive groves and the neighbouring farm. <br /><br />According to the locals this cottage originally served as accommodation for sheep and goat herders, dating back to roughly 100 years. 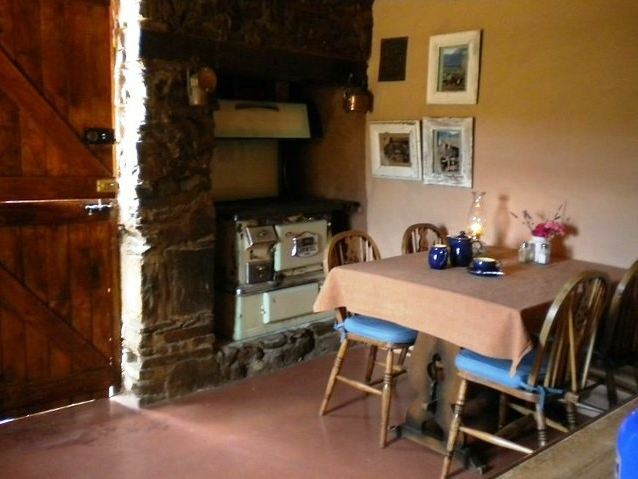 The cottage is restored in such a way that it retains its former character, with facilities that are simple yet functional.<br /><br />There is no electricity, so lighting is provided the old-fashioned way with gas, candles and paraffin lamps. Braai facilities and firewood are available for purchase at the main house. 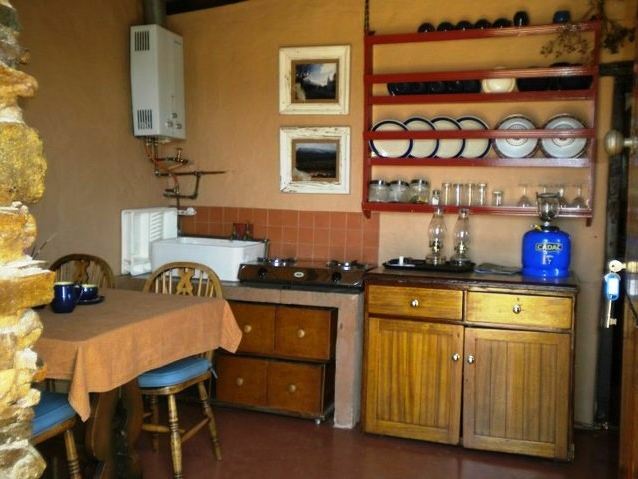 Pets are welcome, as long as they are well-trained.<br /><br />The view of Barrydale, the sweeping scenery of the Tradouw valley, and the majestic Langeberg Mountains fill you with a sense of wonder. There is an abundance of bird-and plant life for those outdoor enthusiasts and lovely walks around the farm. 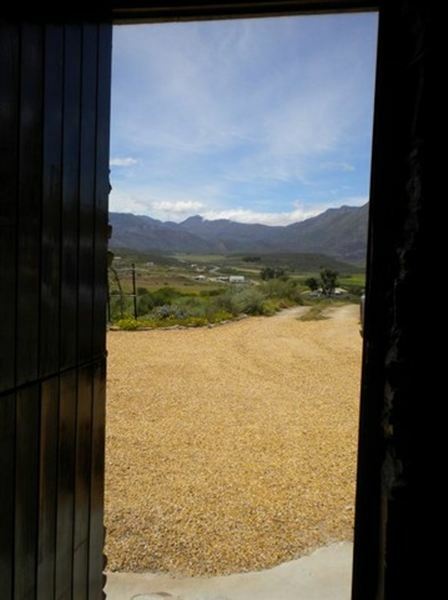 "The cottage, the view and the tranquility"
"Absolutely loved everything about it, especially being off the grid. We had everything we needed to make it the most amazing experience." "Thank you it was an absolute delight. We returned refreshed. The setting and the historic cottage, with the wood-stove during cold winter evenings was a delight and a good choice to recharge our city batteries!! We only returned today as we spent afterwards two days with friends at Stilbaai. Kind regards. Dave Wilken"
"Back to basics - loved it!" "We loved our stay here. Exactly what we were looking for! Although there is no electricity there are paraffin lamps and a gas light as well as steaming hot water from the solar geyser. The coal stove was quite an experience which we used for cooking as well as warmth in the cottage. 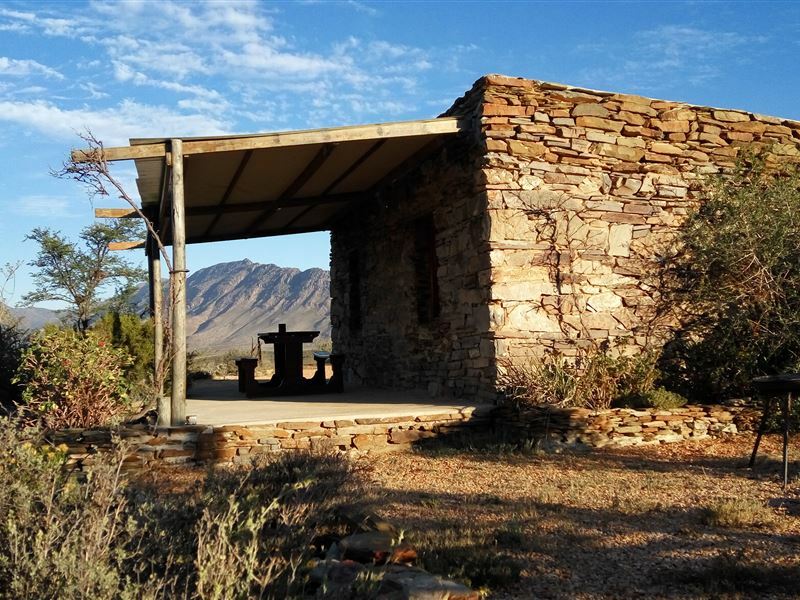 Barrydale is conveniently close (4.5km) enough but the cottage is far enough to enjoy the silence and the very bright starry night. Being able to take our dog with was a bonus and there are nice paths to go for long walks. Wish we could stay longer though - three nights at least. 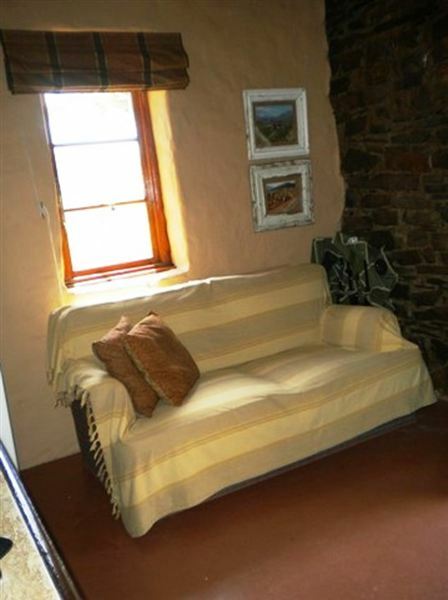 The cottage was very clean and neat and appropriately equipped." "The peace and quiet were wonderful"
"Loved this quiet peaceful place. Off grid and the dogs loved it. Very relaxing. Wood stove kept the place very cozy on a cold weekend. Very friendly owners." "Skaapwagtersrus - Nice rustic accommodation that is very different"
"We loved the simplicity, quietness and peacefulness of the cottage and its location. Although very basic, everything we needed was there. The fact that there was no electricity just contributed to rustic atmosphere at Skaapwagtersrus . We were welcomed by Wayne on our arrival and was offered assistance should we need anything. Thanks Wayne. We really enjoyed our stay at Skaapwagtersrus." "Just as described. Really wonderful host. We will be back!Thanks Wayne"
"We were so happy to have discovered this little gem! Truly a five-star getaway-from-it all. 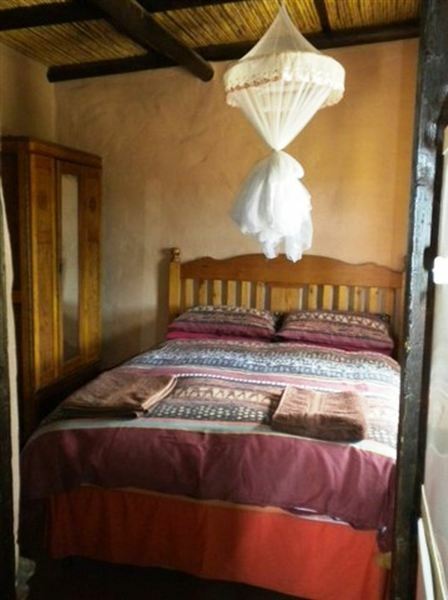 The rustic, lovingly restored cottage is well-appointed, comfortable and set in surroundings so peaceful and quiet, it was difficult to say goodbye. Excellent value for money, a very friendly and welcoming host and definitely a place to return to in winter to relax beside the wood burning stove!" 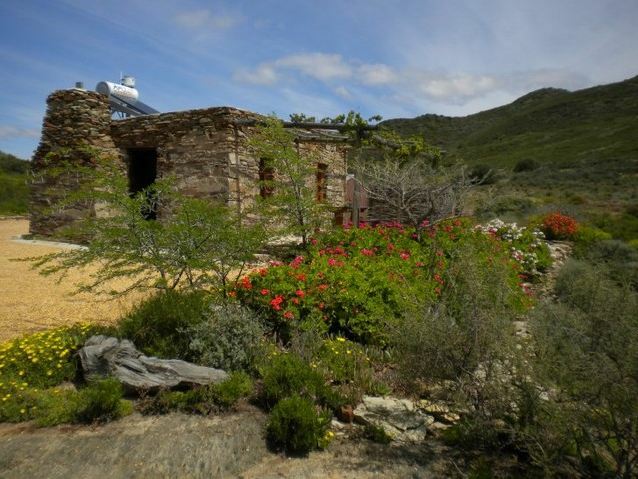 "Only a few kms outside of Barrydale but it felt as though we were totally on our own. A wonderful, tasteful conversion of an old cottage, it provided us with an ideal base for exploring the area. The oil lamp/candle lighting just added to the experience. It was exactly as described. Thank you Wayne."